Yoga studio that offers different types of classes for all. Shanti Revolution is a place for community and growth. While we offer our regular weekly schedule, we also have special monthly events. We search out the best instructors and spiritual teachers we know to offer their services at the studio. Our weekly classes focus on integrating different types of yoga practices while adding in the eight limbs of Patanjali (Yoga philosopher). Meditation has been practiced for thousands of years. Reduce stress, anxiety, depression, gain inner peace, perception and well being. Come join us for a guided meditation session. The practice of Yoga promotes relaxation, reduce stress, and overall well-being. Regular Yoga practice strengthen and balances the body and mind. 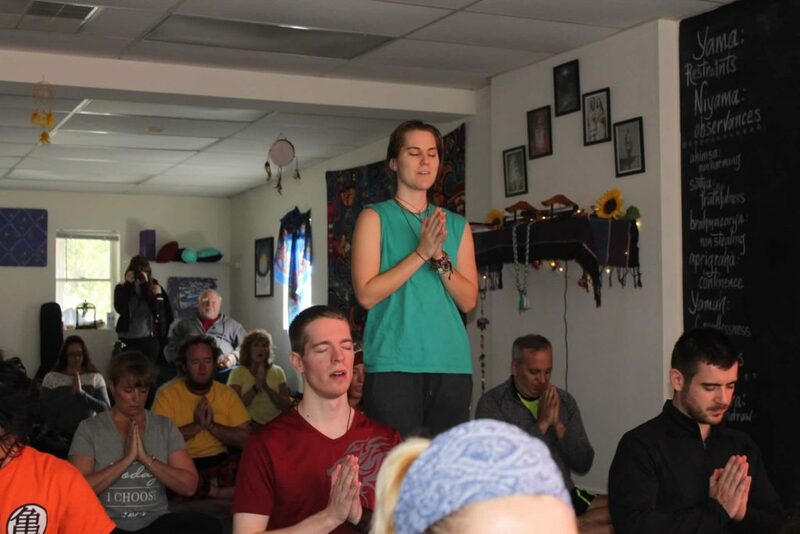 We offer Gentle Yoga, Intro to Ashtanga, All Levels Yoga, Guided Meditation, Crystal Singing and Drum Circles. We are still adding classes to our schedule. Please call. Suitable for all levels. A restful, calming class that includes breathing, gentle flowing movements, passive and supported poses. Gentle Yoga is a perfect beginning yoga class that is also appropriate for those working with injury, limited mobility, or who prefer a softer, gentler approach to yoga. Our Guide Meditation class is a group energy healing and activation session that empowers you are the healer of your life. You are guided to visualize energy and imagery for the purpose of cleansing, clearing, and elevating your conscious state of awareness. Jodie first started practicing yoga after being introduced to it by her brother. Jodie was surprised to find immediate and significant benefit from a daily yoga practice, well beyond what any conventional medications or even herbal remedies had provided for her.